After about a month of conditioning, it’s time to review the red oak ale I brewed in mid-May. As previously described, I oaked it with oak chips for a week, and have been dry-hopping it ever since. Original gravity = 1.070; final gravity = 1.015; abv = 7.3%; estimated IBU = 45. The modest head is tan, finely bubbled, and moderately persistent. The beer is a burnt umber shade and quite hazy. Light and crisp oakiness when freshly poured; as the beer warms up there is a background of alcoholic aroma and raisin/currant notes. Very subtle spicy aroma (presumably from the Willamette dry hops?). A modest, but not overwhelming, oakiness at the forefront of the beer, backed by a subdued but not insubstantial malt backbone. Very slight toasty notes and a hint of rye crispness. The finish has a smooth hoppiness and oakiness that fade slowly. Delightfully fine carbonation and quite smooth to the feel. There is a very mild tannic finish from the oak. I could perhaps expand the body just a small touch, but that is a minor issue. Would I brew this again? Absolutely! As a type of recipe outside my usual styles, this one was a pleasing success. The level of oakiness is just about perfect for my taste, and truth be told it is nice to have oakiness alone, rather than the bourbon-soaked oak chips that most people use. The only minor tweak might be to fill out the body just a shade; a slightly higher mash temperature could do the trick. If I did that, I also might oak it for an extra day or two, to compensate for the greater body. 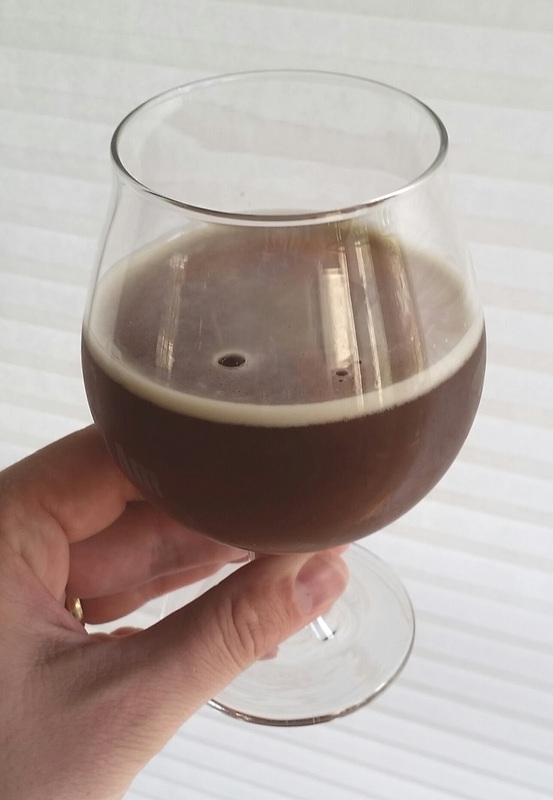 This entry was posted in experimental recipe, tastings and tagged Red Oak Ale. Bookmark the permalink.